When you want to commemorate the passing of your loved one, there is no better way to do this than by creating a beautiful memorial. Our products and services are specifically designed, created and carried out to meet every requirement that you may have. Our Memorials are immaculately crafted to grace the memory of your loved one. Every memorial is installed in your selected cemetery using the approved BRAMM fixing methods and materials. Our memorials and headstones are exquisitely crafted to perfection as we employ the highest dedication and attention to detail while creating each of the unique memorabilia. We also offer children’s memorials, kerb surrounds, memorial stones, pet memorials, churchyard memorials, cremation tablets, memorial plaques, vases, and garden and home memorials. 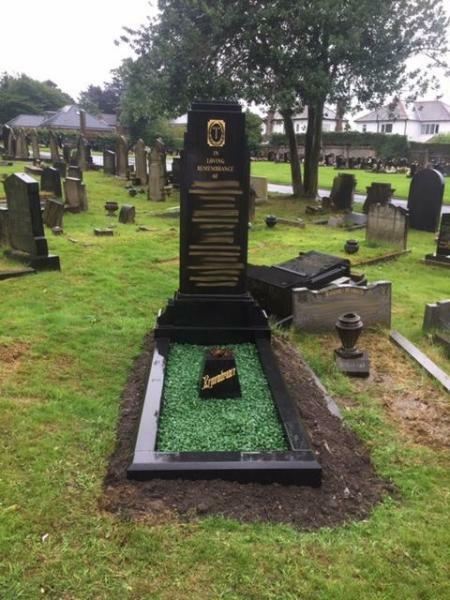 We do not limit ourselves to offering only the standard design memorials, we also design personalised memorials crafted in accordance with your specifications and requirements. Our collection also includes engraving of verses on the memorial as well as the installation of unique structures. A.E Holland Memorials offers tailor-made services with a touch of sensitivity. When you place an order with us, we will assure you that we will manage each aspect from memorial ground support to cemetery regulations. All orders are provided with an A4 scale layout offering you the chance to visualize the inscription as well as verify that the dates and spellings are all correct.